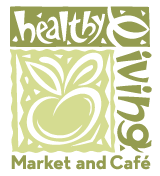 Healthy Living Market Coupon Matchups Thru 7/1! Here are the coupon matchups for this months sales at Healthy Living Market in Wilton, NY, valid thru 7/1. Healthy Living Market features great produce sales each week! You can check them out HERE. Bob's Red Mill GF Almond Meal Flour - $7.99 lb., use $1/1 or $1/1 = $6.99 lb. Hi, I'm wondering what "RP" stands for? Thanks! RP stands for Red Plum so the coupon was in the Red Plum coupon insert from the 4/27 Sunday paper inserts (April 27th).